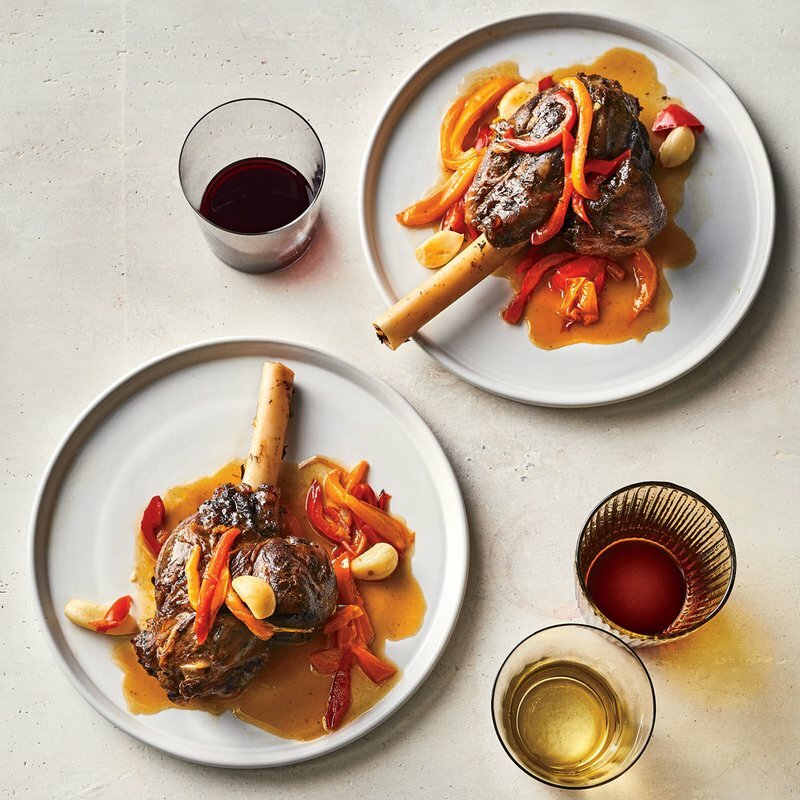 These best-ever braised lamb shanks get flavor from sweet peppers, garlic, and thyme. 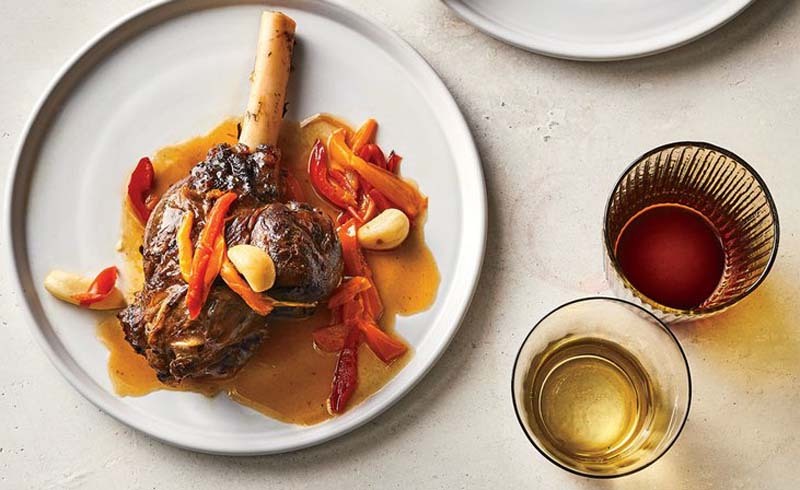 Legendary chef Jeremiah Tower has been called the father of California cuisine, both as the chef at Chez Panisse in the 1970s then at his own magnificent San Francisco restaurant, Stars, where this lamb shank dish was first served. Rich, mellow, saucy, and supremely satisfying, it was a dish that caught diners’ eyes as it passed by their table, inspiring them to immediately order it for themselves. At Stars, Tower served the shanks with an aioli flavored with rosemary and mint, but we like to devour them as they are. Tower also advises using a heavy dutch oven just big enough to hold the shanks. The lamb can be braised a day ahead, making the meat extra tender and flavorful. The last-minute addition of fresh bell peppers injects a bright finish to the rich dish. [post_ads]Heat 1 tablespoon butter in a large ovenproof Dutch oven over medium until foamy. Add 2 foreshanks, all of the unpeeled garlic cloves, bay leaves, and thyme sprigs, and cook, turning occasionally, until browned all over, about 15 minutes. Transfer browned foreshanks, unpeeled garlic, bay leaves, and thyme sprigs to a platter, and set aside. Add remaining 2 foreshanks to Dutch oven, and cook, turning occasionally, until browned all over, about 15 minutes. Return browned foreshanks, unpeeled garlic, bay leaves, and thyme sprigs to Dutch oven. Cover and transfer to preheated oven. Cook, flipping shanks every 20 minutes, until very tender, about 2 hours.